The Twin Peaks soundtrack collection exposes a key architect for one of the most daring shows of all time. In 2001, David Lynch was burned by the experience of Mulholland Drive, a feature film he salvaged from a rejected television show pilot. For his next project, Lynch tried liberating himself from the studio system by switching to the outdated, low-resolution MiniDV format to shoot the underwhelming Inland Empire. Though the film was brimming with his signature hypnagogic weirdness, it was nonetheless watered down, and Lynch has since said it was his last film. Then rumors that Lynch was rebooting his cult television show Twin Peaks were confirmed. The auteur’s first major work in a decade, Twin Peaks: The Return is more of a sprawling 18-hour film as opposed to a traditional TV show with tidy episodic arcs. Aside from his longtime composing partner, Angelo Badalamenti, the new series reveals Lynch’s expanded musical cohort, including a host of bands that play at the end of many episodes. 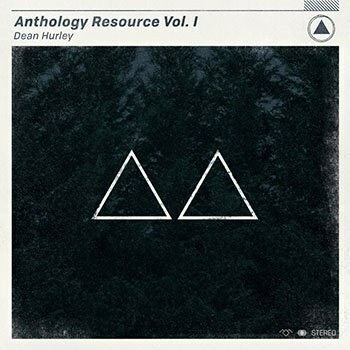 These were selected with the help of Dean Hurley, the series’ music director and sound supervisor. In addition, Hurley has composed numerous drone works that slot into the series’ more expressive sections, collected in Anthology Resource Volume 1: ∆∆. Twin Peaks is far from Hurley’s first gig with Lynch. The multi-instrumentalist has worked with the director since 2005, including sound work for Inland Empire and several of the director’s musical ventures like Crazy Clown Time and The Big Dream. An accomplished producer in his own right, Hurley has worked with Lykke Li, Dirty Beaches, Zola Jesus (also on Anthology’s Sacred Bones), and the Veils (a featured band in the new season). Hurley’s work on “Night Electricity Theme”, “Shanghai Mysterioso” and “Weighted Room / Choral Swarm” recalls the minimalist scapes of Ben Salisbury and Geoff Barrow’s Ex Machina and Black Mirror: Men Against Fire; Mica Levi’s Under the Skin; Trent Reznor and Atticus Ross’ soundtracks; and Reznor’s Quake. “Eastern European Symphonic Mood No. 1” seems a nod to Polish composer Krzysztof Penderecki, whose music appears in the reboot. These pieces are among the most successful when they’re divorced from the show and serve to anchor the collection. Fans of Badalamenti will find comfortable ground here. Anthology is less a soundtrack and more an audio pool -- a resource for the series, as its title points out. Many of the tracks are quite skeletal, some running under a minute in duration, and provide a glimpse into the show’s post-production process. Anthology also evokes the neglected art of Foley sound recording, where sound effects are recreated using common household materials. Tracks like “Low Sustained Mystery”, “Tube Wind Dream”, two “Electricity” compositions, and “Black Box” are essentially sound effects to lay in under a scene as opposed to songs in the traditional sense. “Slow One Chord Blues (Interior)” is the album’s most superfluous, consisting of a minute-long bass thrum one hears when a band is playing down the block. Let’s not forget that without music, there would be no David Lynch. The director’s music has remained consistent throughout his cinematic career, with eerie drone soundscapes, languid chamber jazz, and sentimental post-war Americana crucially amplifying his surreal imagery. Hurley is firmly entrenched in Lynch’s musical ecosystem and provides exactly the vibe the show is going for. As solitary music, Anthology’s drones are sparse and sometimes monotonous, but as unsettling sonic beds meant to conjure a sense of dread, the collection delivers. At the very least, the collection puts Dean Hurley on the map for Twin Peaks fans, exposing a key architect for one of the most daring shows of all time. Part diary, part travelogue, and part social science study, Abdallah Saaf's A Significant Year examines Morocco's 2007 elections with a perspective on all modern democracies. João Moreira Salles's melancholic documentary, In the Intense Now (No Intenso Agora) stitches together amateur footage of the riots of 1968 to create a riveting rumination on the glee and disillusionment of idealism. Memphis soul band Southern Avenue expand their sound and vision on their sophomore release. Guitarist Ori Naftaly discusses tradition and innovation. The women of ethereal Patagonian trio Fémina team up with Iggy Pop and Quantic on exquisite third album Perlas & Conchas. Can Jon Savage's literal book This Searing Light, The Sun and Everything Else close the metaphoric book on Joy Division once and for all? The Yawpers give themselves a big head start as contenders for best rock and roll record of the year with Human Question. Sunn O)) return with a magnificent beast, Vaura fully embrace their experimental new wave tendencies, and Dead to a Dying World solidify their position in the extreme metal pantheon, among more exciting new works. And a few announcements regarding the column. Christina Castle is joined by rap royalty to tease her forthcoming EP with the track "Crazy Lover". From Sulphur English's all-encompassing reverie to the LP's themes of the arcane, Inter Arma are most certainly in their wheelhouse, continuing to redefine what it means to be a modern-day metal band. German-born alternative rock-pop powerhouse, Alice Merton has arrived in North America as a headlining artist after offering the refreshing taste of Mint, her full-length album debut. Director Alex Ross Perry, a master of acidic comedy, continues his stellar partnership with Elisabeth Moss in Her Smell, a fast-burning rock drama that takes place mostly behind-the-scenes. Colin Huebert (formerly of the Great Lake Swimmers and now of Siskiyou) offers brilliant, noisy and forward-thinking song from upcoming LP, Not Somewhere. Texas post-rock collective Driving Slow Motion offer a taste of their inspired debut album, Arda, with the new track "Of the Sea". Former Oh Village frontman Scott Currie establishes a new persona as Kuri and a solo project with this gorgeously haunting new single, "The Great Orator".